For years, Neil Young resisted what he’d considered the archetypal singer/songwriter, middle-of-the-road approach he carved on his 1972 album, Harvest. Never one to consent to having his music categorized or dictated upon, he spent much of the next two decades producing albums that satisfied his (at times, eccentric) tendencies rather than anyone else’s expectations. Such is what made his 1992 LP, Harvest Moon—with its folkish, gentrified style and its deliberately allusive title—an unlikely mainstream hit. Recorded during various stops on the road before Harvest Moon was released, Dreamin’ Man Live ’92 rephrases that album (not in sequence, but in totality) through solo, acoustic performances. Young alternates between guitar and organ—with the occasional harmonica break—deconstructing the songs down to their structural, emotional core. Truth be told, these renditions don't sound all that different than their comparably low-key Harvest Moon counterparts, but Young redeems them with unflinching, soul-baring conviction and the sort of in-the-moment immediacy that only a live, solo treatment can inspire. So on something like "Harvest Moon" or "Such A Woman," for instance, he's not aimlessly work-shopping their arrangements or reflecting them in radically divergent lights—just more intimate ones. Craftsmanship matters, of course, and indeed it's present here. Over the arc of this live album, though, sincerity matters—and resonates—most of all. And so as Young cuts to the quick of "War of Man" or the eleven-minute wonder of "Natural Beauty," in particular, he evokes their intrinsic spirits in ways both impassioned and strikingly prescient. 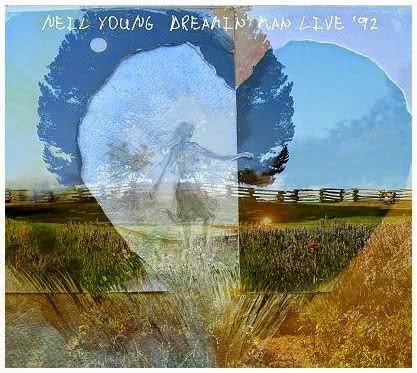 While Young’s similarly styled Unplugged album arrived on the heels of Harvest Moon the following year, it featured only three of its songs, but (and perhaps more importantly) also a band and back-up vocalists. In contrast, Dreamin’ Man Live '92 offers up the songs from Harvest Moon in a context closer to that of which they were borne. In short, this journey through the past is well worth the trip.